Purchase a package of single-0-sized empty capsules and put about 30 of them loose onto a plate. Then mix your oils in an empty dropper bottle. Here’s a recipe using 5 oils for a strong antimicrobial blend. Start with the strongest—Oregano—20 drops, then 20 drops each of Peppermint, Basil, and Geranium. Finally add 100 drops of a mild, versatile oil--Tea Tree. This fills the bottle about halfway to the top. Then fill the bottle to the top with a carrier oil. I use grapeseed. Put your thumb over the opening and shake to mix the oils. Then use the dropper to fill your capsules. You'll quickly see how much you need to fill each capsule so it doesn't spill over and make a mess. You can fill them quickly with this technique. Put filled capsules into an empty pill bottle. Be sure to label the bottle. Make no more than you will use over a 6-month period because they say the oils may erode the gelatin wall over time. We have never seen this happen even with year-old capsules, but it doesn’t hurt to be cautious. Use alcohol to clean your bottle and dropper after each use. Otherwise the oils will erode the rubber dropper. For prevention you can safely take one capsule a day with food during the most infectious periods of the cold and flu season. Dr. Daniel Penoel, a French doctor who specializes in clinical use of essential oils, has many patients who take a capsule of a similar blend daily. At the first sign of an infection, however, Dr. Penoel recommends taking a capsule 3 times a day with food. For urinary tract infections and mold infections he recommends taking one capsule four times a day. For parasites he recommends taking a capsule five times a day. Other recipes and information are available on the youroilessentials.com website. Please use these capsules with the approval of your personal health care provider. They are not a substitute for personalized medical help especially in serious illnesses and infections. Here are a few effective recipes for capsules from l’Aromatherapie Exactement by Dr. Daniel Penoel. For vaginal candida mix 50 drops of Oregano with 100 drops of Tea Tree in a 15 ml dropper bottle. Fill the bottle with grapeseed mixing oil. Take one capsule three times a day for 20 days. For shingles mix Peppermint half and half with grapeseed mixing oil. Take three to four capsules a day for 7 – 14 days. For acne mix Peppermint half and half with grapeseed mixing oil. Take three to four capsules a day for 20 days. 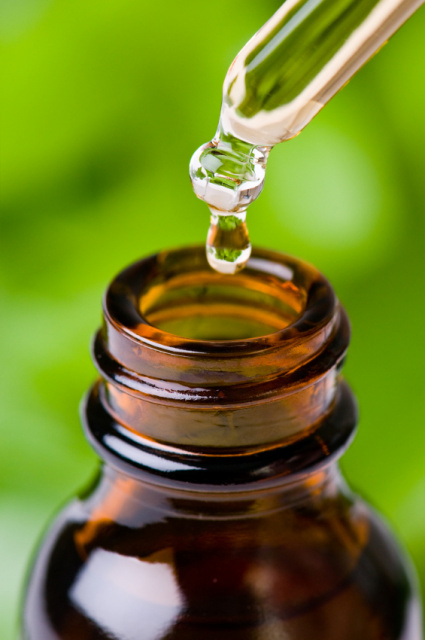 For infectious diarrhea or food poisoning, add 150 drops of Tea Tree oil in a 15 ml dropper bottle and fill the bottle with grapeseed mixing oil. Take it three times a day with food for 7 to 14 days. If you are traveling in areas where food or water may be contaminated, take one capsule a day as a precautionary measure.